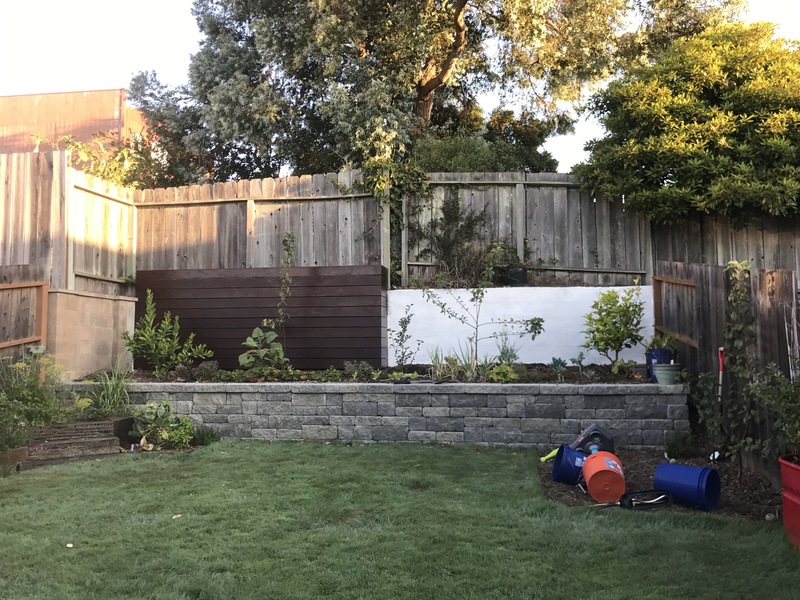 Over the weekend I finished up my ornamental fence and lime washed the other retaining wall. One last coat of finish brought it to its final color. 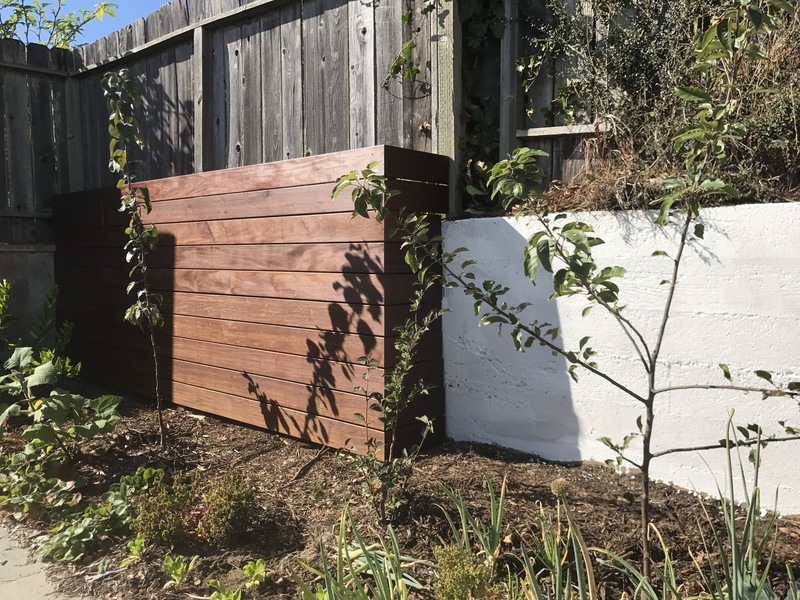 The pigment should protect the wood from UV. I had big plans; my wife and kids were going to be out of the house for the month of august and I was going to knock out a few projects around the house. Unfortunately, shortly before 4th of July weekend I got sick and it took 2 months to figure out what it was (I’m 98% back to normal). On the plus side I lost a bunch of weight that needed loosing but on the downside very little got done. Sunday I finally got started on one of those projects. 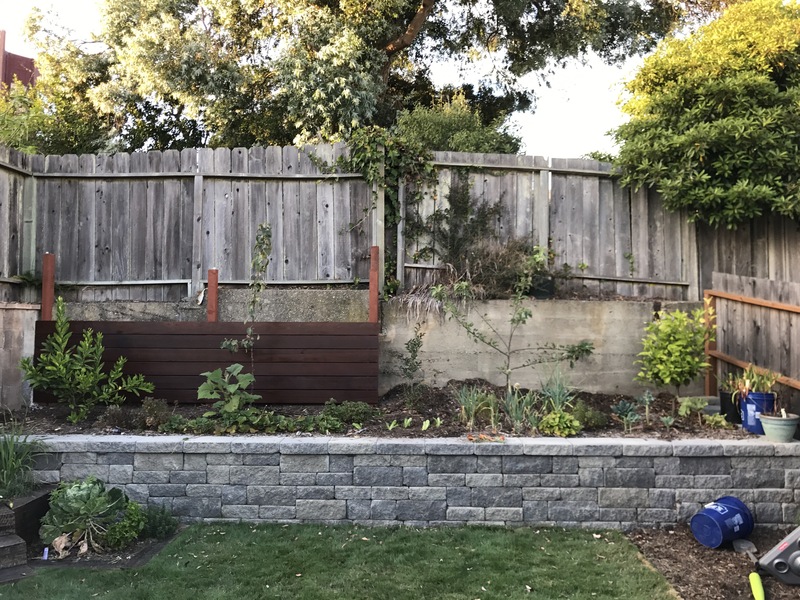 When we moved into our house I had the old retaining walls inspected and was told they had decades of life left so rather than replace them we planned to hide them: the right one with a bamboo hedge and the left with a decorative fence. 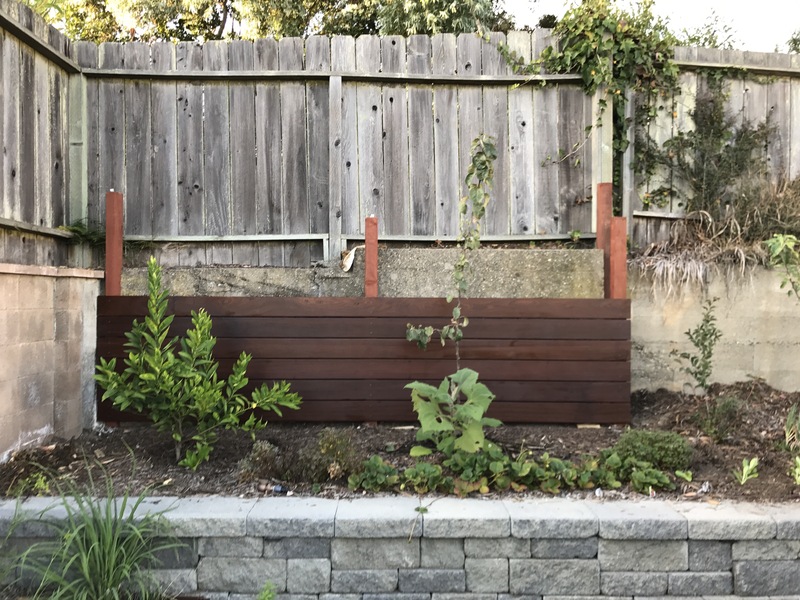 I had originally planned on using cedar for the fence but 6 months ago I found some Ipe (Brazilian Walnut) on Craig’s list and have been storing it in my garage ever since. I had sunk the support posts a while back (the retaining wall has no footing) so I mitered 7 boards to length using my circular saw and pre-drilled screw holes (I’m using self taping stainless screws so predrilling was more about maintaining spacing) which was followed by walnut tinted deck oil on all sides. The oil was taking forever to dry so they were installed with the oil still wet. Once all of the pieces are installed and dry I will put on another coat on the face. Another 4 or 5 boards will be added along with a return on the right side.